Tecia Torres fights May 4th !!!!! 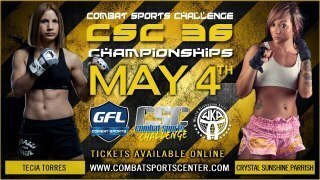 Tecia Torres will be making her “Pro” Kickboxing debut (K1) vs Crystal “Sunshine” Parrish on the Combat Sports Challenge in RVA on May 4th!!! 1) Is it hard to date when you’re a female fighter? Do guys treat you differently? Are they intimated? 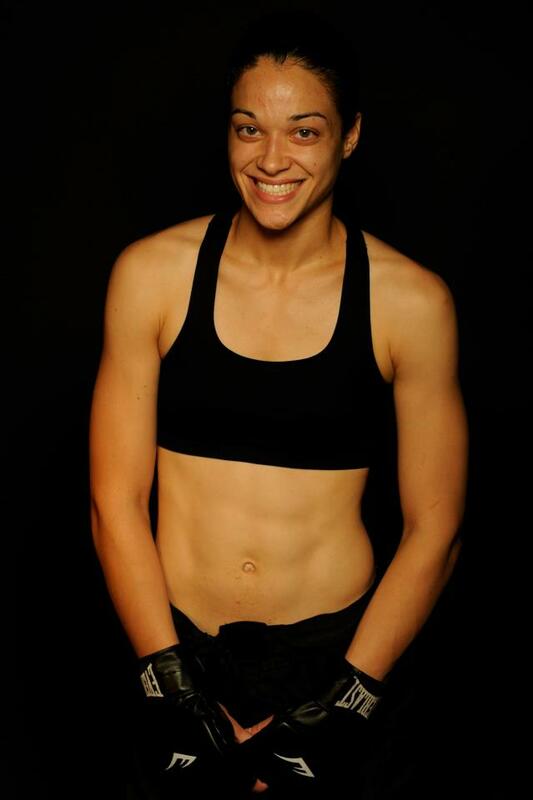 Rosanna: It’s not hard to date because you’re a female fighter, anymore than it’s just hard to date in general lol. The dilemma essentially comes from dating because being a fighter is a way of life. And everyone trying to be the best knows about the girlfriend/boyfriend curse. If you’re training and working full-time, then you simply MUST date someone who understands that you’re not going to be able to be there all the time. When you’re training for a fight, you’re sore, grumpy, irritated, tired, and just generally beat up. And then you have your girl or guy asking you if you want to go dancing? To a birthday party? Really? You’re going to bake cookies in front of me while I’m cutting weight? You’re mad because I have to train until 11 at night? And now that I’m finally home from getting beat up…you wanna cuddle? Like right now? REALLY? Lol but that’s what usually happens to guy fighters though. Usually. While training for one fight I was dating a few people, and the ones who bothered me the most were the ones who didn’t understand that I didn’t want to hang out after fighter training. That, hey, maybe I want to go to sleep, because I have to do it all over again, like tomorrow lol. And on the intimidation side, I think that guys are intimidated. Not cause I can beat them up or anything, but probably because I act too much like a dude. I’ve tried being slightly more girly, tried to paint my nails and buy women clothes. We’ll see what happens. 1) Don’t get jealous that I train with guys. That equals an immediate dismissal. 2) Please don’t ever tell me I shouldn’t be a fighter because I’m a woman. That equals an immediate dismissal after I laugh in and around your face. 3) Let go of about 83% of the b.s. I put you through while I’m training for a fight.